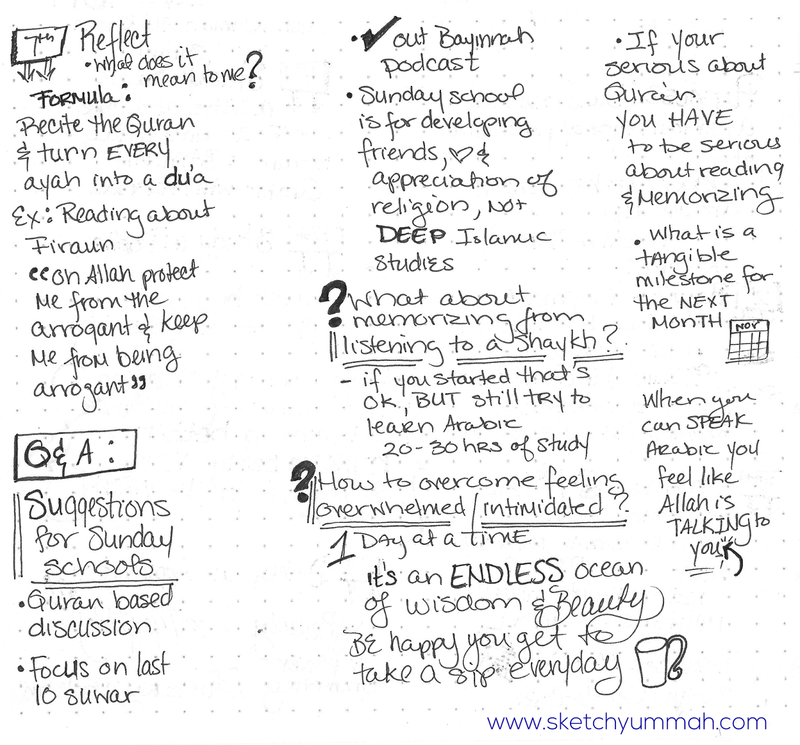 After attending Ustadha Maryam Amirebrahimi's lecture on Falling In Love with the Qur'an earlier this month, I was inspired to dedicate this month's roundup to resources for developing a relationship with the Qur'an. Obviously, and you'll see more on this below, nurturing that relationship is a life-long task which includes the study of many things including Qura'nic Arabic, tajweed, tafsir, grammar, morphology, etc. Therefore, this post is by no means exhaustive and is just meant to provide a few resources to help along the journey bi idhnillah. 1. 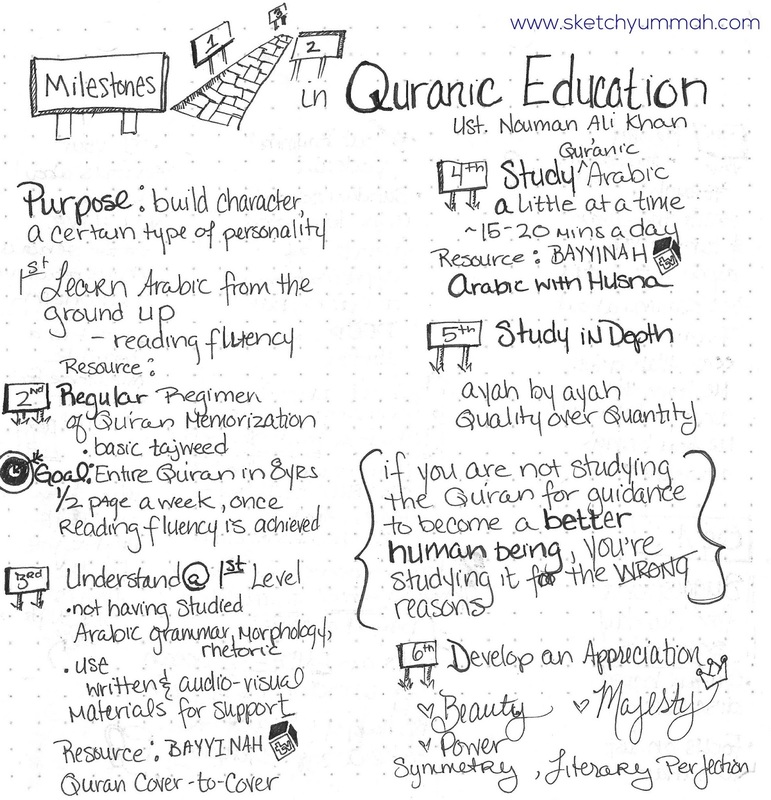 In this audio from a teleconference that Ustadh Nouman Ali Khan did for Al-Madina Institute, he discusses steps that one should take in furthering their Qur'anic Education. 2. 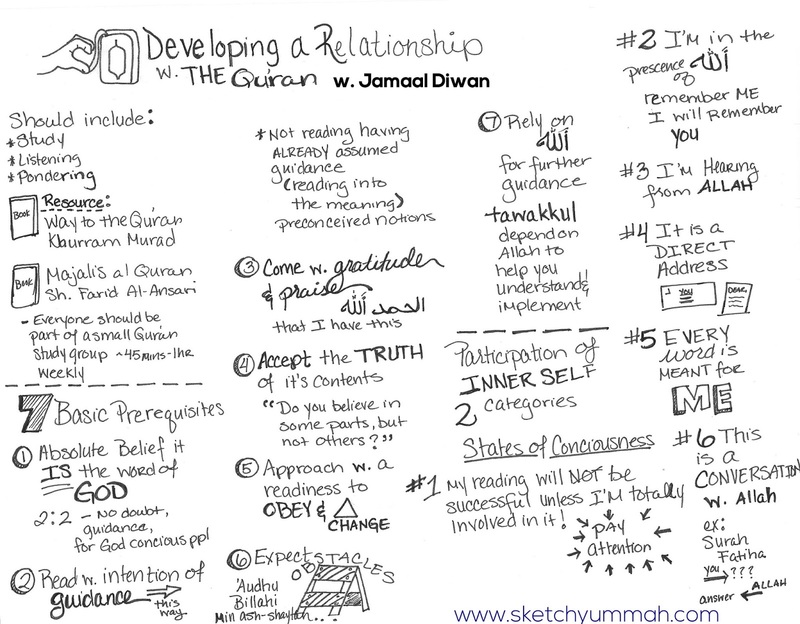 Jamaal Diwan gives a detailed lecture on developing a relationship with the Qur'an, including basic prerequisites, participation of the inner self, response of the heart and body, and steps to studying & understanding the Qur'an. 3. 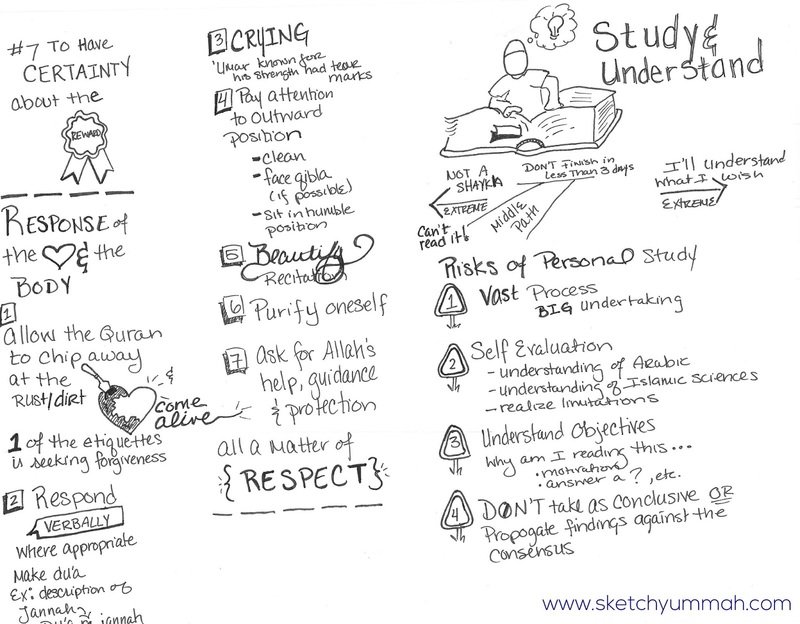 Shagufta Seeks is another blog where a sister shares notes she's taken from lectures she's attended. I haven't had the opportunity to listen to this lecture yet, but thought sharing the notes that sister Shagufta took was worthwhile. There is a link on her blog to the full lecture of Shaykh Ahmed Saad Al-Azhari on Building a Spiritual Connection with the Qur'an. 3. Traveler with the Qur'an with Shaykh Fahad Al-Kandari is such an inspirational and moving show. 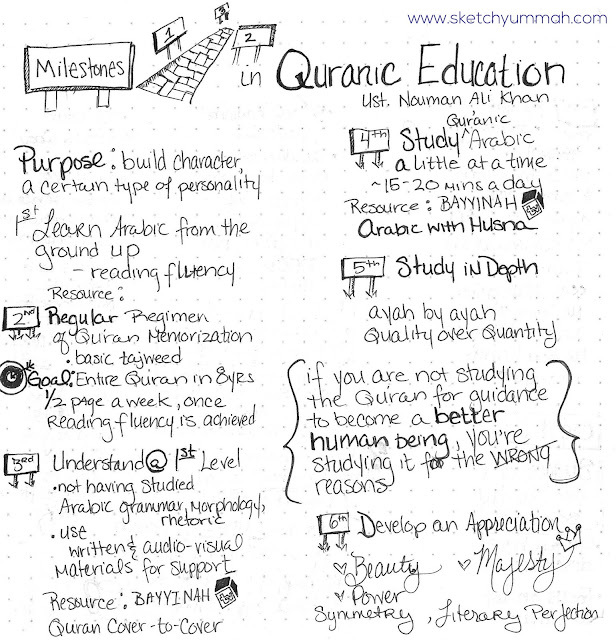 In addition to highlighting stories of huffadh who've overcome great obstacles; and visiting hafidh schools across the globe; the Shaykh gives advice and encouragement on how you can start your journey to memorizing the Qur'an (Season 1). In the second season, Shaykh Fahad visits even more locations, most where Arabic isn't the native language, and discusses contemplation of and reflection on Qur'an (Season 2). As I went to grab the links for the shows, I stumbled across a NEW show which aired this past Ramadan, Guided Through the Qur'an, which was filmed in the West, and highlights converts to Islam and their journeys with the Qur'an. 4. In this article from Productive Muslim, Abu Productive tackles some of the excuses we make for not reading the Qur'an and gives some practical tips on developing a daily habit of reading. 5. 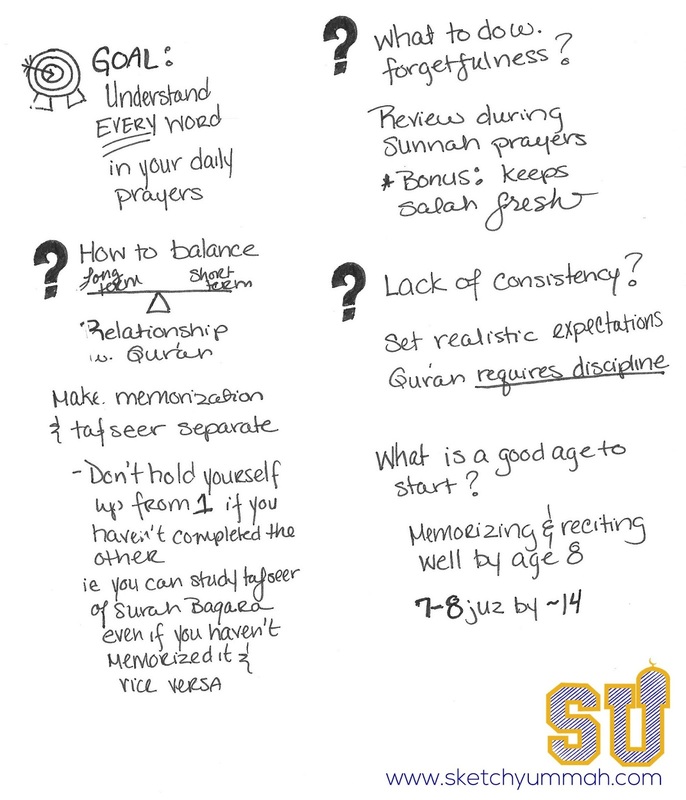 One of the many things recommended in the above lectures is being dedicated to committing more of the Qur'an to memory. 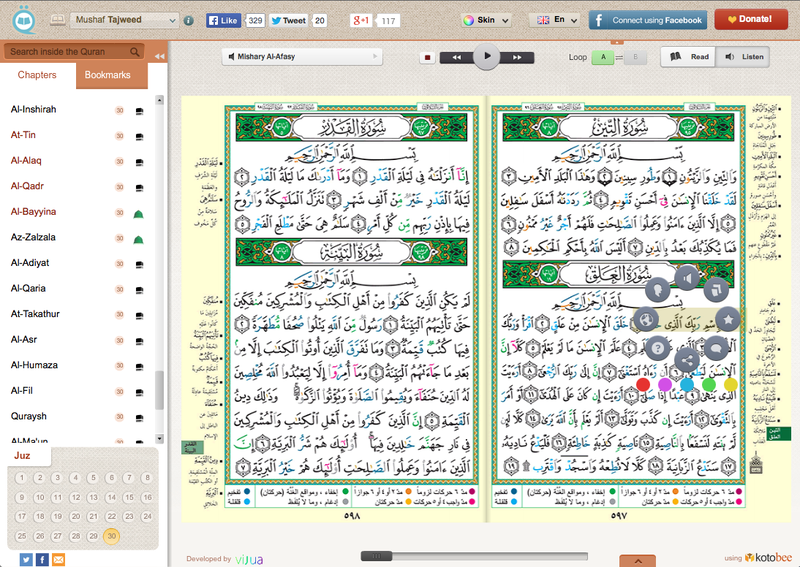 Quran Tracker is a web-based tool that I use and I find it really helpful to keep track of my memorization. You can set goals, indicate with red, yellow, or green how comfortable you are with each verse, pick sections that you want to repeat and more. 6. Quranflash, is something that I just discovered last week. Up until then I'd been using Tanzil.net, because it is synced with Quran Tracker; the only downside is that Tanzil doesn't have the tajweed markings. Quranflash has an option for a mushaf with tajweed that's interactive instead of the static pdf versions I'd seen previously. You can choose from several reciters, listen, see the translation, transliteration and Arabic tafseer of any verse by clicking on it. These are just the two online tools I'm currently using, I'm sure there are tons more sites, and apps that are useful if you know of any please share in the comments section below. 7. In the Du'a roundup, I shared a beautiful and very comprehensive du'a recited by Shaykh Muhammad Jibreel after his completion of the Qur'an during Ramadan. I wanted to share an excerpt about the Qur'an here taken from the translation done by Shazia Ahmed for SuhaibWebb.com. O Allah, beautify us with the beauty of the Qur’an. O Allah, enter us into Paradise by the intercession of the Qur’an. O Allah, ennoble us by the nobility of the Qur’an. O Allah, dress us with the honorable mantle (khil`ah) of the Qur’an. O Allah, dress us with the honorable mantle of the Qur’an. O Allah, honor us with the honor of the Qur’an. O Allah, have mercy on the entire community of Muhammad ﷺ, by the sanctity of the Qur’an, O Most Merciful (al-Raheem), Loving One (al-Rahman). O Allah, guide us and lead us to the truth and to the straight path, by the blessings of the magnificent Qur’an; and by the sanctity of the one You have sent as a mercy to all the worlds ﷺ. And forgive us, O Most Generous (al-Kareem), and grant us well being, O Most Merciful (al-Raheem). O Allah, make the Qu’ran the blossoming spring of our hearts, and the light of our chests, and the dispeller of our sadness and grief. O Allah, make the Qur’an a proof for us, and not a proof against us. O Allah, make us those who read the Qur’an and become elevated… and do not make us those who read it and become wretched and humiliated. O Allah, bestow on us, by every letter of the Qur’an (that we have read) a sweetness, and by every word (from its pages) magnanimity and generosity, and by every verse happiness and joy, and by every chapter peace and security, and by every section reward. To check out roundup posts from previous months click here. 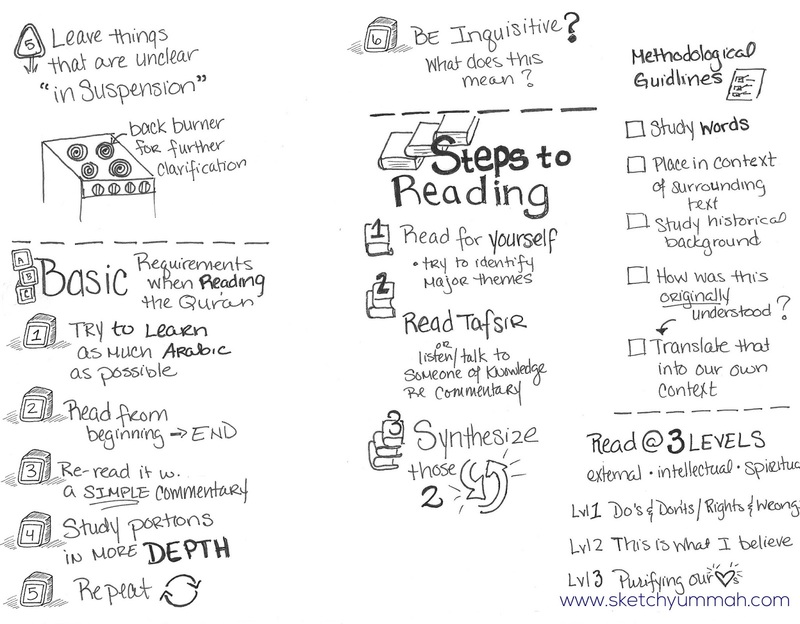 Sketchnotes vs Lettering: What's the Difference?